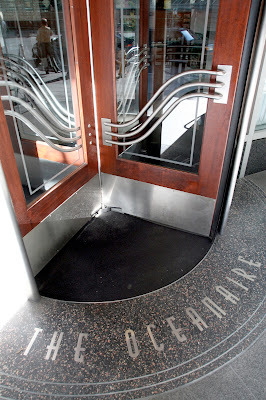 When the Oceanaire Seafood Room unlocked its stately revolving glass door on the corner of Seventh and Olive in January, 2002, patrons and critics alike (present company included) embraced the steakhouse-style fish-focused concept, the third for a Minneapolis-based chain. Known for a menu featuring 30 types of fresh seafood — much of it flown in fresh twice daily — it was an instant hit in a city where homegrown seafood restaurants are a dime a dozen. Yesterday, Oceanaire restaurant employees nationwide learned the parent company had filed for Chapter 11 bankruptcy protection, abruptly shuttering four of its 16 restaurants, including those in Seattle, Cincinnati, Charlotte and Philadelphia. 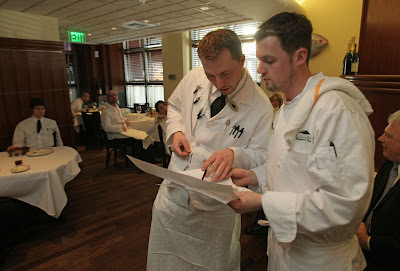 While Ryan was in Philadelphia delivering the bad news to employees, Wade Wiestling, Oceanaire vice president of culinary development was here in Seattle helping contact employees, calling vendors and preparing to donate much of the restaurant’s inventory to Seattle’s Table, a program affiliated with the non-profit Food Lifeline. One of those members is Seattle’s Ed Grandpre, who’s run the front-of-the-house at Oceanaire since its debut. “I don’t have to tell you what the economy has done to us,” said Grandpre, who learned of the closure Monday morning. Attempts to attract warm bodies at dinner have fizzled, he said. Like many restaurants feeling the pinch, Oceanaire has instituted come-ons meant to attract thrifty diners, including the hopefully named “2010’s Economic Recovery,” offering a $20.10 tasting menu plus $20.10 bottled wine specials. 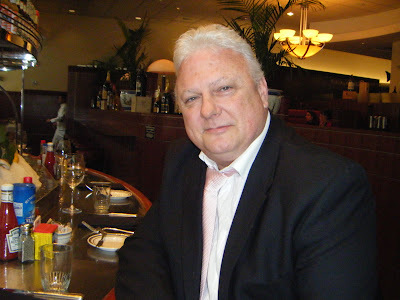 GM Ed Grandpre, at Oceanaire’s oyster bar in happier days. But according to two former Oceanaire chefs, it wasn’t just the economy that signaled the beginning of the end for the company in Seattle and elsewhere. “The closure is unfortunate,” said former chef-exec Eric Donnelly, a longtime Oceanaire vet who left the company late last year to open Toulouse, in lower Queen Anne. “I think they made some very poor decisions.” Not the least of which, he said, was locking the doors yesterday and giving no warning to stalwart staff, many of whom had been on board from Day One. 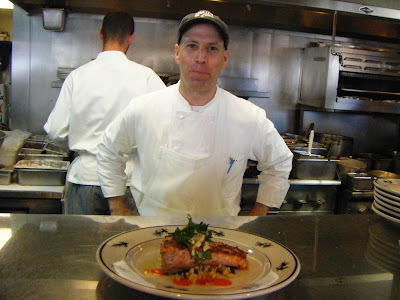 Chef Kevin Davis, now owner of the Steelhead Diner, was recruited by the Oceanaire in August, 2001. Wooed to the task after a diligent search for a well-connected local chef, he’d been given carte blanche to put his imprint on the menu and he did just that for the better part of five years, gaining national recognition for his efforts. That success, he said, came from within. “It took a lot of people giving it everything it had: non-stop attention to detail.” With swift, progressive expansion, those details, he said, became less important to the bottom-liners in Minneapolis.